On February 12, 2015, Colonel Ahmat Zakaria Guidi Annou, Defense attaché of the Republic of Chad, paid a courtesy call to the ACSRT. After welcoming the senior official of the Chadian Armed forces, H.E. Ambassador Francisco Caetano José MADEIRA, AU Commission Chairperson’s Special Representative for Counterterrorism Cooperation and Director of the ACSRT, commended the gallant people of the Republic of Chad and their government for the important role they are playing in the effort to restore peace and stability in the Sahel region and its surroundings. 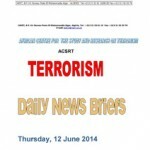 The defense attaché highlighted the importance of the ACSRT as an AU counter terrorism tool. 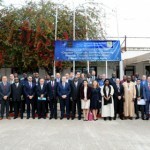 The studies and analysis it produces, its effort to keep AU member states daily informed of terrorist trends and developments on the continent and beyond, and the work the ACSRT does to enhance Africa’s technical and operational counter terrorism capacity, are a significant and necessary input to our common CT effort, and a clear demonstration of the AU commitment and determination to eradicate terrorism and violent extremism from the continent, he said. 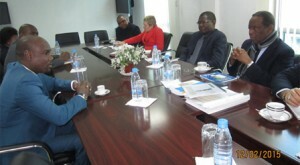 The two officials discussed ways and means of further strengthening the existing cooperation with Chad. 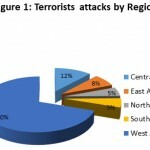 They analyzed the current security situation in the countries of the Nouakchott Process and concluded that the continued existence of Boko Haram, IS, Aqmi, Mujao, Ansar sharia and other terrorist groups represented a serious threat to peace, security and development not only in Nigeria, Mali and Libya, but also in the entire SAHEL Region, West and Central Africa and beyond. The need to neutralize these forces of evil was, therefore, urgent and vital. 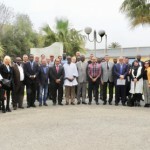 They expressed satisfaction at the decision by Member States of the Lake Chad Basin Commission and the Republic of Benin to deploy national contingents to fight the Boko Haram terrorist group.